During the last 20 years my Awakening and Integration has been quite uncomfortable at times, physically, emotionally and mentally. I like to describe my awakening as how my new insights expanded my consciousness… and how I intellectually realised what was truly going on with myself and the world around me. It felt as if eye blinkers were falling away, allowing me to see much more of the world, seeing pieces of a big jigsaw coming together and understanding what was going on, but it wasn’t until much later, when integrating my body, mind, spirit and aspects that I fully felt the realisation of the truth of Who I truly AM. During my first 10 years awakening, as my body/mind was changing I experienced physical discomforts of eczema/psoriasis on my scalp/face. At the time I didn’t know any better than to visit classic and alternative doctors to help clear it up. Only after years of no improvement, did I realise it was up to me to face it by myself, to understand the truth about beauty being more than skin deep and how as I dissolved my false beliefs my body and mind would relax and balance itself into wholeness. 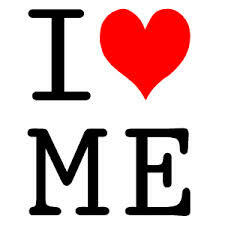 It was a time of remembering to love myself… no matter what was happening. It was a time to realise how life and Humankind was changing and how essential it was for me to discover my own answers for everything. You would of thought that after such great inner work I had nothing left to endure… but physical, emotional and mental challenges continued to be uncomfortable on and off for another 10 years. Thankfully I gradually began to realise that the pain and fear that I continued to experience was because I had transformed so much fear into love and light… and was opening myself up to feeling into new depths of false beliefs and programmes… not just from this lifetime, but from all my lifetimes… human and galactic AND bringing them all back; integrating all my aspects within my physical body and reality here and now! I was feeling the pain and fear from my past lifetimes, nothing to do with me now… nothing that I had done wrong… This new insight helped me detach from the pain and fear, dissolved my discomfort and allowed me to see how essential it was to focus on feeling the loving essence and vibration of love, joy and peace of who I truly AM at the core of my physical self. Not only have I and my fellow Divine friends focused these many years on expanding our consciousness and raising our vibration from fear to love… our expanded consciousness has created new energy… that continues to come in and change the dynamics on Earth like never before. It’s not going to take YOU 20 odd years to transform your life… it can happen in the blink of an eye… BUT it remains a choice. For YOU to choose to awaken, detach yourself from the Human game of lack and suffering, integrate with your multi-dimensional self and move into embodied enlightenment with ease and grace… living the multi-dimensional life you came here, this lifetime, to experience. Here are 10 Simple Tips to help you through your Awakening and Integration that I wished I’d known about in the beginning! 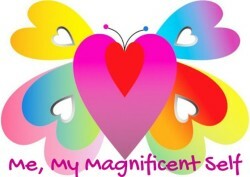 Remember you are so much more than you may perceive you are… You are Magnificent! And what a journey to ‘see’ those changes taking place Barbara. I’ve had crushed disks in my neck for 30 years and in the last 5 they have reached a crescendo. But among those daily headaches, vertigo, tinitus I can ‘see’ that journey. In the beginning I was too blinded by the pain, but in the last 5 years I can feel that shift, inner and outer and the magic beneath it. Very subtle to start with but the more I shifted into that belief within myself the more it opened up to show that journey of balance.